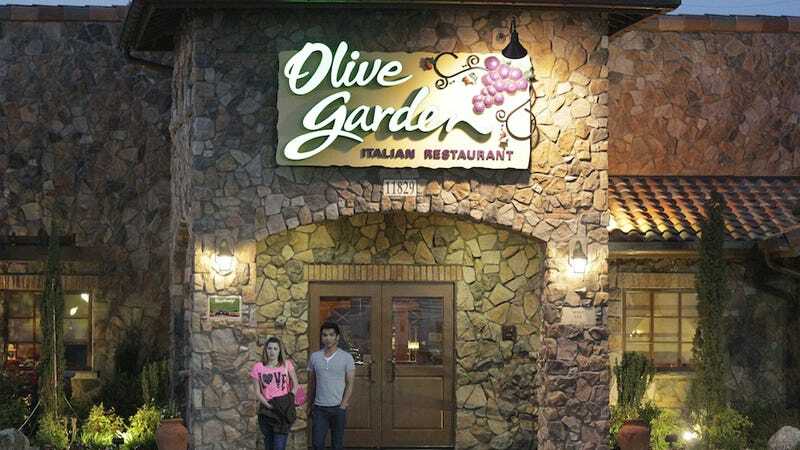 Tired chain restaurant Olive Garden is trying a gluttonous new gimmick today: They'll sell a thousand people a "Never Ending Pasta Pass," valid for seven weeks, for a mere hundred bucks. Try it and see what gives out first—your deal, or your gut! This news comes via the USA Today. The lucky buyers will be entitled to unlimited pasta, salad, bread and Coca-Cola for 49 garlic-smeared days. As a onetime cash-strapped underemployed intern, this sounds appealing—as long as you commit to using it properly. You can't just use it for a couple of meals, or you'll cheat yourself, especially considering it's mad cheap to make your own at home. You need a strategy, is my point. You need to consume at least 10 meals worth $10 to cover your costs. (And note that the promo coincides with the $9.99 Never Ending Pasta Bowl, so you've got additional options if you want to pig out just a couple of times.) To be safe, plan on eating at Olive Garden twice a week, and make sure you get protein on that ziti, too. But wait, warns Robyn Flipse, a registered dietitian and author of the book Fighting the Freshman Fifteen. Any promotion that stresses all-you-can-eat works contrary to the one of the most important aspects of the dining experience: remaining mindful of what you eat. "If the primary object is to get your money's worth, it has nothing to do with good nutrition," she says. No kidding. Also, I'm pretty sure your bowel movements would never recover. Most important, consider the cautionary tale of my colleague Caity Weaver, who once spent 14 hours consuming legitimately vile mozzarella sticks at a TGI Friday's. A deal is only a deal if you actually want the thing being offered.